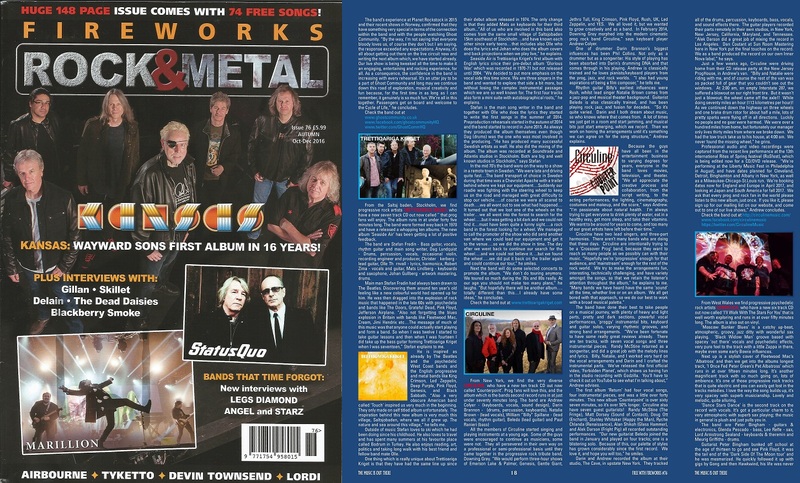 Thank you to Jerry Ewing and all the staff at PROG Magazine (UK) for featuring the Counterpoint track “Summit” on their “Issue 76 One For The Vine” Covermount CD Sampler, included with their Spring 2017 Issue! Sound of Contact / Dave Kerzner Band‘s multi-talented Matt Dorsey was the guest guitarist solo on this track. It’s been reported by many people that “Summit” is one of their favorite tracks on the album. Janet Krier Riccobono‘s husband Rob Shannon took the band photo that was used for the band bio on the CD Covermount page, and Denise Romano Bright took the RoSfest band photo that was used for the 1/2 page promotional ad (partnered with the 2017 ProgStock Festival) for the upcoming CircuLive::Majestik double CD/DVD, out via PledgeMusic later this year! 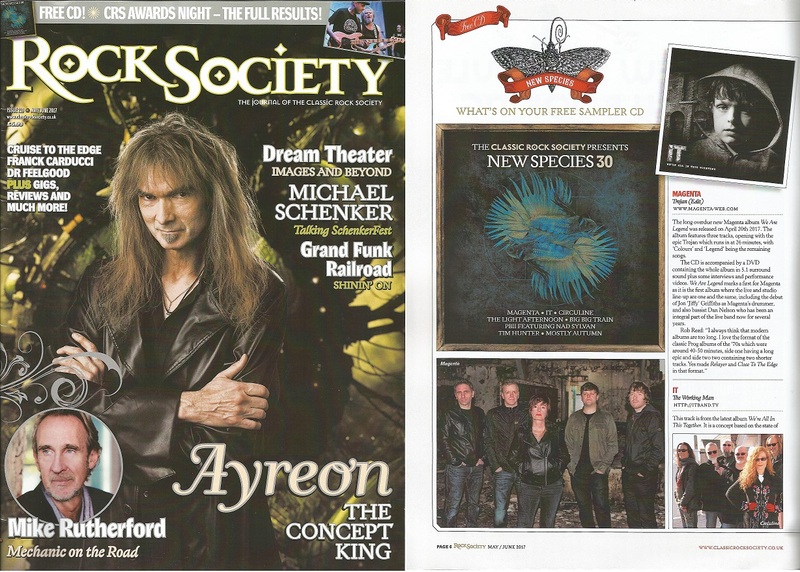 Thank you to Classic Rock Society Magazine (UK) for featuring the Counterpoint track “Summit” on the New Species 30 CD Sampler, included with their May/June 2017 Issue! Special thanks also to the Classic Rock Society for hosting Circuline and IO Earth this coming Saturday, June 24th, at the Wesley Centre in Maltby, near Rotherham, England! Will we see you there?